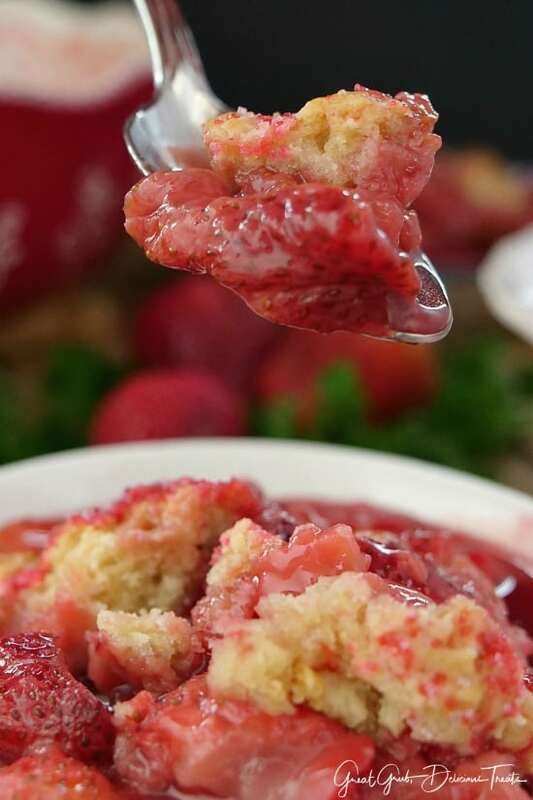 Loaded with delicious fresh strawberries, then topped with a crunchy cake-like topping, this strawberry cobbler recipe is a perfect spring and summer dessert that is not only an easy cobbler recipe to make, but is sweet, juicy and a family favorite. This classic Southern cobbler tastes amazingly delicious with the fresh sweet strawberries, and the juices, mixed with the crunchy topping. 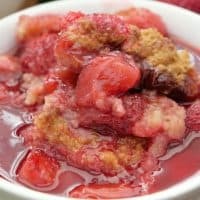 One of my favorites is taking a bite and having both the delicious fruit filling mixed with the crunchy edges of this delicious strawberry cobbler. Oh so good! 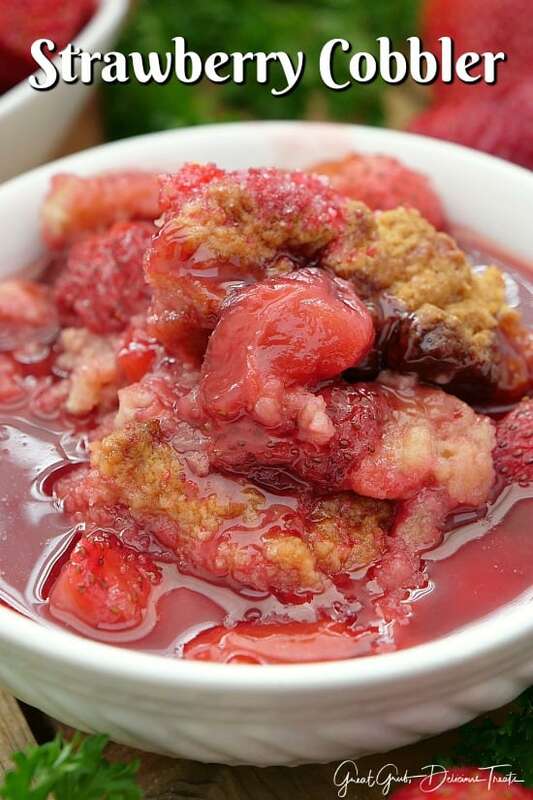 With sweet strawberries now in season, this is the perfect cobbler recipe to make for Memorial Day and perfect for the 4th of July. 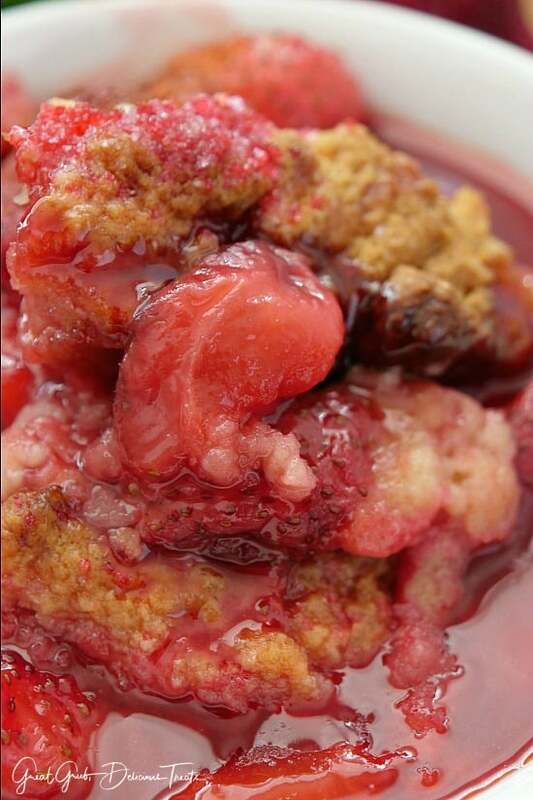 Using frozen strawberries when strawberry season ends, means you can still enjoy this old fashion cobbler recipe year round. 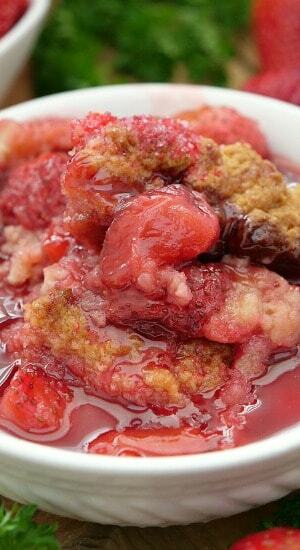 Strawberry cobbler is a Southern dessert recipe that tastes delicious, is easy to make with just a few simple ingredients that most likely are already in the pantry, and will fast become a family favorite cobbler recipe the whole family will love. 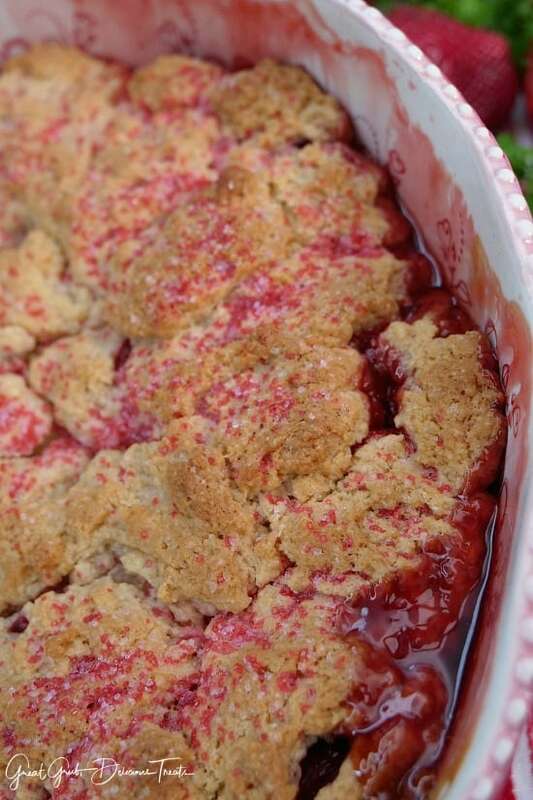 One thing that can make this easy strawberry cobbler even better is with a scoop of vanilla ice cream. With the warmth of the cobbler, once the vanilla ice cream starts to melt and mix with the juices, makes for one absolutely delicious cobbler recipes. 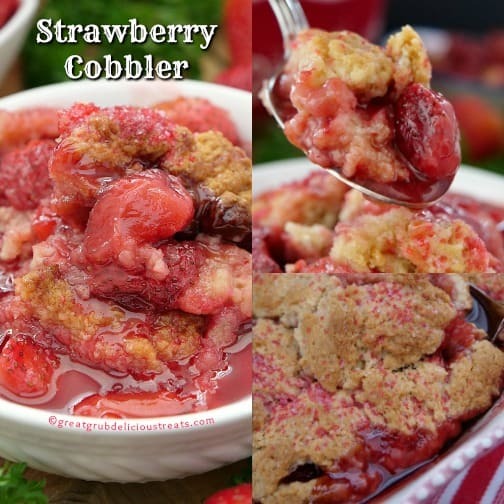 Here are a few more delicious fruit cobbler recipes you can find on the blog: Delicious Blueberry Cobbler, Fresh Peach Cobbler, Easy Cherry Cobbler, Peach Blackberry Cobbler, and Blackberry Cobbler, plus many more. Preheat oven to 375° and spray a 3 quart baking dish with a non stick spray right before filling with strawberries. Remove stems and rinse. Cut into quarters and place in a large mixing bowl. Sprinkle with sugar, lemon juice, and corn starch. Stir and let sit for 5 minutes. Pour strawberries into prepared baking dish. Spoon mixture over strawberries and spread gently over strawberries making sure to cover completely. Bake uncovered for 50-60 minutes or until topping is cooked thoroughly and has started to brown. 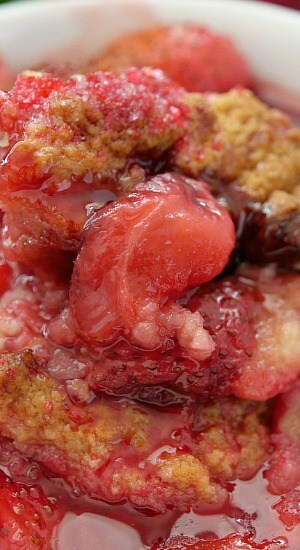 I love cobblers and now I can’t wait to try this Strawberry Cobbler. Thanks for a delicious recipe. You totally made me crave this yummy cobbler for dessert! Perfect for all the fresh spring strawberries!! YUM!